OPA1 related disorders include: classic autosomal dominant optic atrophy syndrome (ADOA), ADOA plus syndrome and a bi-allelic OPA1 complex neurological disorder. 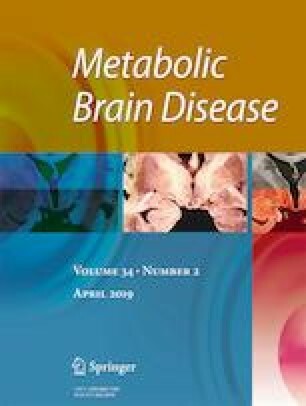 We describe metabolic stroke in a patient with bi-allelic OPA1 mutations. A twelve-year old girl presented with a complex neurological disorder that includes: early onset optic atrophy at one year of age, progressive gait ataxia, dysarthria, tremor and learning impairment. A metabolic stroke occurred at the age of 12 years. The patient was found to harbor a de novo heterozygous frame shift mutation c.1963_1964dupAT; p.Lys656fs (NM_015560.2) and a missense mutation c.1146A > G; Ile382Met (NM_015560.2) inherited from her mother. The mother, aunt, and grandmother are heterozygous for the Ile382Met mutation and are asymptomatic. The co-occurrence of bi-allelic mutations can explain the severity and the early onset of her disease. This case adds to a growing number of patients recently discovered with bi-allelic OPA1 mutations presenting with a complex and early onset neurological disorder resembling Behr syndrome. To the best of our knowledge metabolic stroke has not been described before as an OPA1 related manifestation. It is important to be aware of this clinical feature for a prompt diagnosis and consideration of available treatment. The authors declare that they have no conflict of interest interests. Informed consent was obtained from the parents for publication in this study.